And the best thing is, it's for existing customers. A lot of credit cards have great sign up bonuses for new cardholders. But if you’re an existing one? Pffffft. Thanks for your continued support, remember to pay your bill on time! That’s why this new Citibank Premiermiles deal should be really exciting, if you already have a Citibank Premiermiles Visa card. Yeah, if you haven’t held the card for at least 6 months, you can stop reading here because this deal doesn’t apply to you. 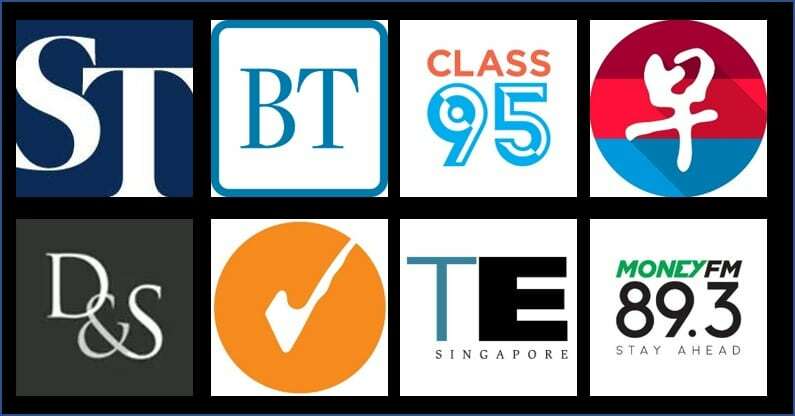 If you have had a Citibank Premiermiles Visa card for at least 6 months and received an invitation to participate, you need to spend either S$3K or S$9K from 1 July to 31 August. If you spend S$9K and pay an admin fee of S$238, you get 10.8K miles (S$9,000 @1.2 mpd) + 31.2K miles for paying the admin fee. What’s the admin fee for? Hell if I know, but I’m not going to ask too many questions. This nets you a total of 42K miles for S$9K of spend. Paying the admin fee of S$238 to get 31,200 miles is the equivalent of buying miles at 0.76 cents each. That is an amazing price to pay for miles, considering that you can get upwards of 2 cents even if you redeem for economy class (don’t). If you spend S$3K and pay an admin fee of S$58, you get 3.6K miles (S$3,000 @1.2 mpd), + 6.4K for paying the admin fee. That’s the equivalent of buying miles at 0.91 cents each. Again that’s a great price, but I’d much rather net the larger bonus. It’s kind of ironic because I’m the sort who advocates people to time their credit card sign ups so they can take advantage of joining bonuses. But this offer is one that favors the loyal. It’s actually a very nice move by Citibank to reward their long term cardholders, and I applaud them for that. I hope as many of you as possible can take advantage of this great deal. quasi-cash transactions is a very disturbing catch-all term, i agree. i guess it can’t hurt to try if you’re intending to use ipaymy/cardup anyway, you can check with the cso. try and do this as early as possible so you have time to make up the spend if it doesnt end up counting. I paid my rent via Cardup this month and after a few days of suspense I am glad to say that the points have been credited to my Premiermiles account so I am confident that the spend will count towards the 9k threshold for the 42k miles. I received this this via email. Does it qualify or I have to receive SMS? Fevo topups never qualified for even the normal 1.2 miles premier miles, so I’d be surprised if they qualify for this. Wonder which card can be used for FEVO top up now. This is the link I got from Citi’s website, no mentioning of SMS, eDM, etc. Thanks! I didn’t receive the SMS or email but managed to enrol anyway. Hmm it says bill payment as a source of funds. Anyone can clarify on this point? I think the “42KMILES” format SMS does not enrol you into the $3000 spending tier for 6400 bonus miles, it only enrols you for the $9000 spending tier for 31200 bonus miles. Whereas the “MILES” format SMS enrols you for both spending tier bonus. Is it the assumption here that if the spend is made overseas, it will still earn the base rate of $1 = 2 miles? I am pretty sure I am just short of the 6mth threshold but I will probably end up putting $9k on the card over the next 2 months so I am going to have a shot at it, and then have a bit of a whinge on the telephone later on. Thanks! There must be something I’m not understanding. Why is buying miles at a price of $0.76 per mile an “amazing” price, when US$0.20 a mile is merely an OK deal when buying, say, Lifemiles. I’m terrible with numbers, so please be patient with your explanation! ? And while we’re at it, you scoffed at having to pay anything more than $0.02 per Krisflyer mile in your OCBC Voyage card review. Assuming I convert only to Krisflyer, how is the OCBC deal a worse deal than this much pricier Citibank offer you’re heaping superlatives on? Ummm can’t you read? It’s 0.76cents per mile i.e. $0.0076 per mile. Which is a fantastic deal. That I’m not eligible for. But good job Citi! If I’m reading this correctly – let’s have Aaron clarify and confirm – but this promotion means you get to buy each mile at less than a cent each, 0.76 cent to be precise as Aaron had calculated. US$0.20 for LifeMiles is 20 US cents and $0.02 for OCBC Voyage is 2 cents. Definitely 0.76 cents trumps! yup. be careful of your decimal places. and let’s not bring lifemiles into this comparison, totally different ballpark. It is 0.76 cent vs $0.2. Units matter, P.
Aaron – it’s the same $9k, not $9.5k. You run a blog, and you’re gaining much fame as a blogger. We read your blog because we believe in you. So you have the social responsibility to make sure that your articles are accurate factually. You do not, and should not, need to aim for first mover. Opinion pieces are opinion pieces. Factual articles have different lines. you’re absolutely right. thanks for pointing that out, I have made the edit. I don’t know how I saw $9.5K, that’ll teach me to drink at lunch. Or maybe too distracted by all those chiobu buying drinks for the famous blogger. stay away from my chiobu. Does banquet payments qualify for the 9k spend? Cheers! You did not drink too much. The Citi doc ( http://www.citibank.com.sg/global_docs/pdf/Earn_42K_MilesTCs.pdf) is very confusing. Both examples provided by Citi in section 2) iv. indicate a $9,500 qualifying spend requirement while their table in section 3) reflects a $9,000 requirement. Sorry, I’m confused. So what’s the difference between the targeted and non-targeted versions? the targeted version has 2 options- either spend $9K or $3K. non-targeted is $9k only. Thanks for the quick updates Aaron. Still confused. If everyone enrols to the targeted version (since everyone knows the sms/registration method), what is the point of the non-targeted version? Do u think I can pay for my income tax thru the Citibank credit card? And it will count towards this promo? Depends upon mode of payment. Paying thru axs will not be considered. Through Cardup, it might be. Checked with CSO, hospital bills will earn miles. If all my major expense are for department store, should I still use Citi awards card to get 4miles/dollar instead of using Citi premiles card for this promotion? I’m glad they’re actually running a promo for those who already have the card… A very welcome change from those signups we here in SG frequently see (and eye with envy) in the West. Unprecedented shelling of miles has only 1 absolute outcome – acceleration of miles devaluation. Fares of premium cabins have been sliding in the last few years (including SQ) but cost in miles redemption is on the opposite trend. The receiving end is always at the losing end. At some point, a revenue ticket will make more sense than a redemption ticket whereby the underlying miles were purchased. In fact, this is already a fact in US and it is a matter of time it reaches here. Enjoy the party while it lasts. This is just a drop in the ocean compared to sign up bonuses in the US. Half of these miles will end up as either orphan miles or redeemed for rebates and vouchers or redeemed for economy tickets. A majority of the remaining will go to other star alliance carriers as SQ availability is pathetic. Revenue fares making more sense than redemption? Easily possible… if crude oil drops below $10. Intra US business class is nowhere comparable to SQ long haul. Spk, at 170000 miles at US2c/mile for a return ticket to FRA/LHR/CDG, at what price you go pay for a revenue ticket instead of redemption? Except those miles are never bought outright. People earn it through their spend. Depends. You can get to those places on Turkish Airlines biz class for 2.8k if you look hard enough. It does mean a stop in Istanbul but to put into perspective, that is the same price as non-saver SQ economy, and less than SQ PY. And you get kf miles too. To be safe, sign up for the non targeted one as well. I spoke to Citibank CSO and was she confirmed that tuition fees payment is eligible as a qualifying spend. Not sure how reliable this is. Same here. I paid $100 first, and called the hotline. The CSO said that the tuition fee of $100 is an eligible transaction. Does buying of departmental store vouchers qualify as retail? But this one you can get 4miles/dollar with other cards unless you aiming for the 9k spend. Thanks. Is it worth to forego the 4miles and go for citi 1.2 miles for the 9k spend? Anyone has done any calculation? You don’t need calculation for this. You are ‘buying’ miles with these 9k promos. Use it only for those transactions that don’t fetch 4mpd on other cards. If you are using it for those where you’d anyway have got 4mpd, you are losing money. Hi guys. Thanks for replying. Reason for not using the other 4 miles promo is that I usually don’t spend 9k in 2 months. So I am using Premiermiles card for this 2 months and top up the balance with vouchers purchases, which could be used as future purchases/presents. Yes. Remember from citibank’s side they can’t see what you bought. If You buy robinson vouchers the merchant shows up as robinson. If you buy amazon vouchers the merchant shows up as amazon. So anybody tested this card on Cardup and awarded miles? You would have made those payments anyway. So cannot calculate it that way. Essentially you are buying miles here. $ 472 / 42000 is 1.12 cents a mile. That’s a decent purchase rate given the average value is 2 cents per mile. Check the latest article on this blog. Question: Should I call up Citibank to ask if rent and tax payment via Cardup will earn miles and count towards the $9k target? Or will this let the cat out of the bag? It has already been confirmed here and elsewhere that Citi awards points for Cardup. Considering Cardup has to share about 1% with Citi and normally only 1.2 miles are provided, don’t think Citi will shut it out. Though there is a risk they might shut it out for this 9k promo. Does iPaymy qualifies? I know Cardup yes, but it doesn’t allow me to pay for things other than their pre-determined categories. Warning – please note that citi staff is clueless about this promotion. I sent a message online asking them confirming that I am part of the promotion and they told me that it is for new customers only. Had to copy/paste lines from T/C where it is written that promotion applies to existing customers as well. Using PayPal can qualify too as part of the $9K ? Shux…just bought a new macbook and SQ Biz class ticket to Europe in June…would have waited had I known this was around the corner…now no idea what to get to reach the 9k threshhold…tips anyone? Would buying something that can be refunded later work or would Citi then also take the bought miles back? Can anyone confirm definitively that Cardup payments not only qualify for miles but are counted towards the 9k? Forgot to ask about definitive answers on ipaymy. Thanks! i wouldn’t play the refund game. miles are liable to be clawed back. Araon, isnt it make more sense to use citireward cards for buying from these department stores? Yes, generally. But depends how far short you are of your min spend for premiermiles. Eg if you were 1k short and that’s all that stood in your way, I might be able to justify spending on a “suboptimal” card to hit the threshold I need to get a huge miles bonus. Just wander does the supplementary card usage count for the main card? CSO confirmed today that iPayMy and CardUp are considered as Retail transactions and qualify towards the 3k / 9k spend. They are viewed as akin to Paypal transactions. Been trying to time my application for this card.. Was waiting to see if there are any good sign up bonuses for existing Citibank cardholders. However, there doesnt seem to be any for the past 6 months… Anyone recall if there was any fantastic promo given for sign ups? Shall I just sign up now? i remember the 42k miles offer…is that still available? Hi friends, I was informed today by a very insistent Citibank CSO that Cardup spending (for income tax) is not considered part of the qualifying spend for this promo and that Cardup’s merchant code is that for money transfer / bill payment so no ordinary premiermiles (1.2) are awarded for it. Did I just speak to an uninformed Citi staff member? If true, my efforts at reaching the 9K spend would be for naught. Appreciate any advice from all you laojiaos. Cheers! I cardupped and got 1.2 on Citi PM. Hi Bert, good to know. I’ll check my Citi Rewards when posted to confirm too. Do you also know if its included in the qualifying spend for this promo (if you are participating)? I’ve emailed CardUp and will probably try to speak to anojther Citi CSO. Frustrating. Cardup should be a retail spend and it’s mcc is 7372 (last I checked in June). Typically from my understanding from 2 cso, balance transfers/bill payments refer to credit card balance transfers or paying your other bills online. I just spoke to a second CSO who also insists that Cardup is not retail spend but a bill payment and it’s definitely not qualifying spend for this promotion. Sigh. Since you have spent on cardup, why not just wait to see if pm miles are awarded. Mine is so I don’t see any issue why yours wouldn’t. If pm miles are awarded, it would be logical it would count towards the promotion. For all we know, CSOs also read off the tnc and apply literally when we know there are grey areas wherein tnc strictly state as not eligible for miles but in reality, miles are awarded. All spends are awarded miles but not all spends are considered a qualified spend for 42k miles promotion. Suggest you call Citi CSO asap to confirm. E.g. Topping up EZ Link card (bill description “Transit”) not a qualifying spend. My cardup transaction for my income tax was award citimiles too! If it is statement in the renewal notice that you can pay by credit card. Then you will get your miles credited in your account. I had payment for road tax and business insurance. They are all accepted. As for personal insurance, you have to check on your renewal notice to see mode of payment. Public Service Announcement for MileLion readers: Spend $9k Earn 42k miles is only valid for those who hold the card BEFORE 1 March 2017. Do not rely on SMS confirmation (I applied and received my card in May 2017, enrolled in promotion last month, received confirmation SMS). 1 March 2017 eligibility is buried in the T&Cs. As such, not eligible for this promotion but hope other readers can benefit! I was wondering how about bill payments through M1/Starhub websites? Do you get miles for that? 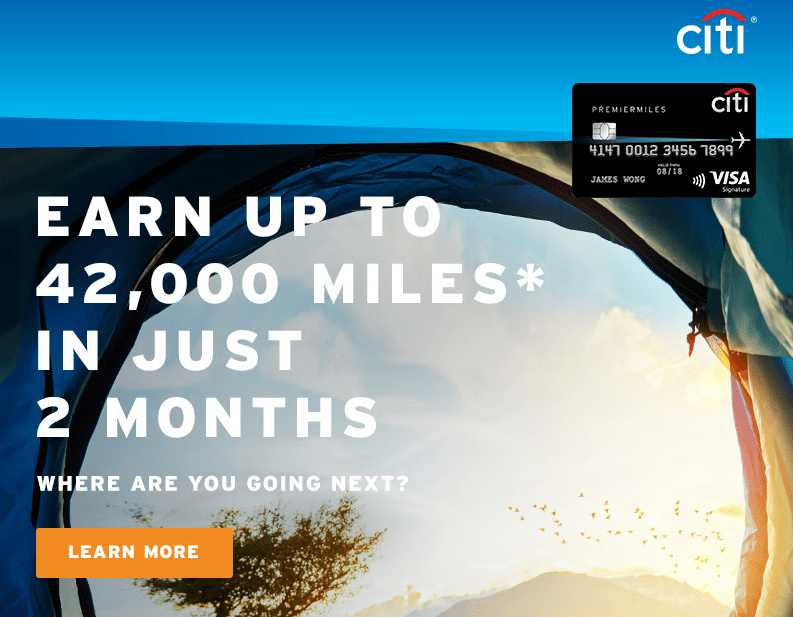 Does putting money in the credit card get you miles as well? Bill payments for telco awarded miles but not considered qualifying spend for 42k miles promotion. Topping up EZ Link card (bill description “Transit”) not a qualifying spend. Fitness first membership fees is a qualifying spend. Why are payments to telcos via telco website not considered qualifying spend? Can i please check for the spending period is based on transaction or posting date? Thanks. merchant that might affect the Promotion. anyone has their bonus miles posted yet? Still waiting. I’m guessing they want you to clear the payment for the spend before they start to change the admin fee. I already cleared payment but nothing yes. That being said, the T&Cs said the bonus points would be awarded within two months of the end of the promotion (end Aug), so expect it will happen sometime towards the end of October. same! woohoo! anyone transferring to any other ff besides KF? me too! Glad the Cardup payment was recognised as eligible spend in the end after mixed messages from Citibank CSOs. Cant seem to find it – did you manage to find it on the website? I saw it on the Citibank mobile app, but it’s not live yet.